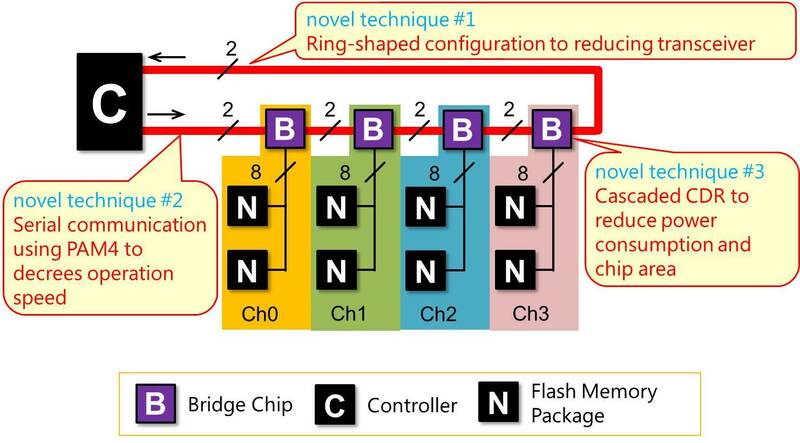 chips at high speed with only a few high-speed signal lines (Fig. 2). pairs to one pair, it achieves chip area reduction of the bridge chip.